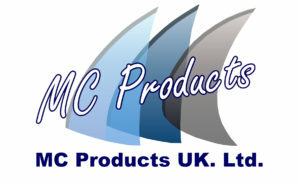 We are a UK manufacturer supplying, all-in-one soft-shell body armour, body cameras, night vision and thermal imaging cameras, acid and chemical warfare neutralizing kit, drug testing kit, breathable load bearing vests, pouches, batons, shields, personal protection equipment, tactical gloves, slash gloves, firearms kit, training kit, handcuffs, disposable handcuffs, holdalls, and bespoke manufactured personal protection kit. Our body armour is the lightest, most flexible all in one body armour available. The body armour is spike, knife, needle, ballistic, and fragment resistant. We create bespoke solutions for all of our clients. We supply over thirty police forces in the UK, Ministry of Defence, the National Crime Agency, Ministry of Justice, Home Office, and are proud members of ADS. We also export our equipment to over two dozen countries throughout the world, including multiple European, Asian, African and North and South American forces. Our products are used on every continent, except Antarctica.